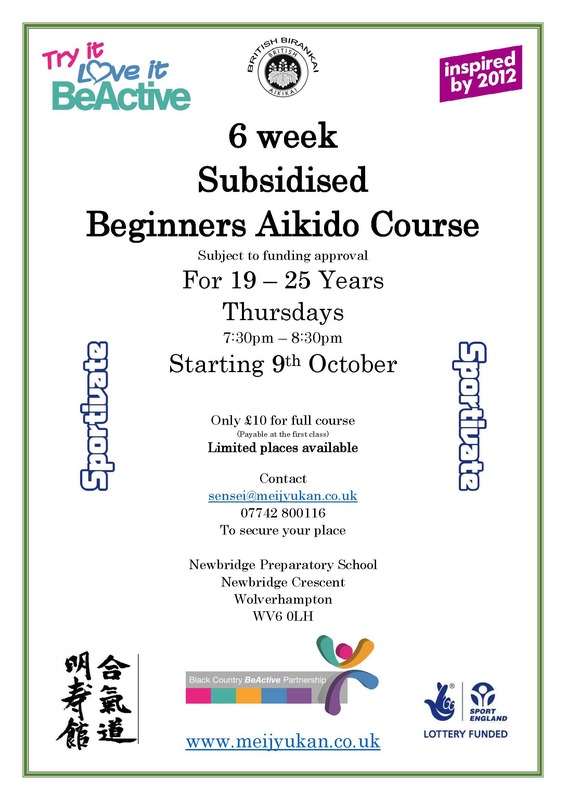 Anyone interested in learning Aikido is wecome to come along. 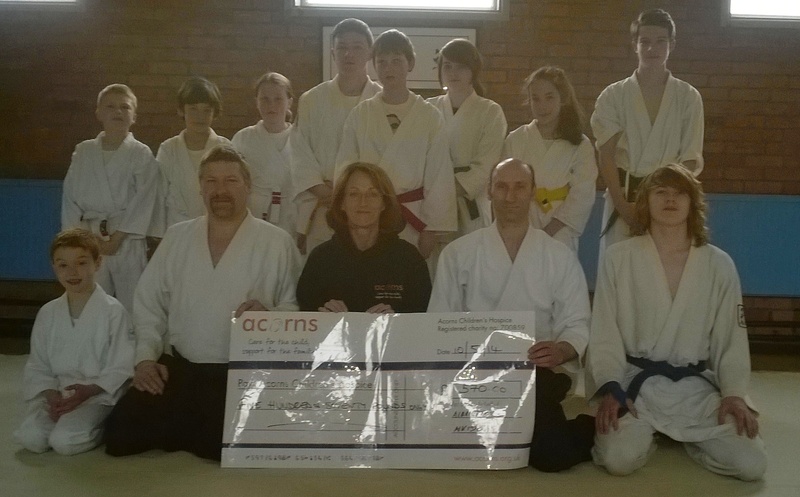 Join in and get fit, learn self-defence or just for fun of it. 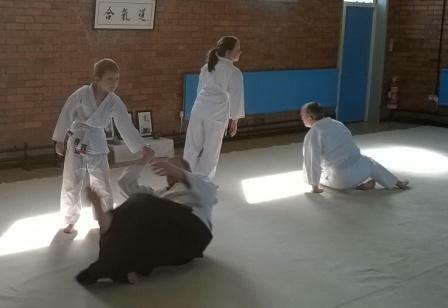 Aikido is based on circular and direct movements so that maximum effect is achieved by minimal effort. 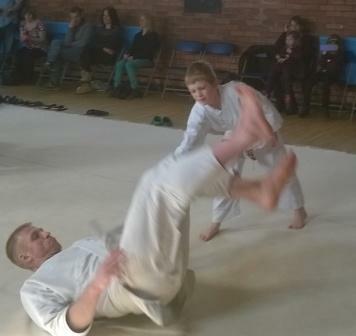 This means that anyone can practise – old/young, men/women, fit/unfit. 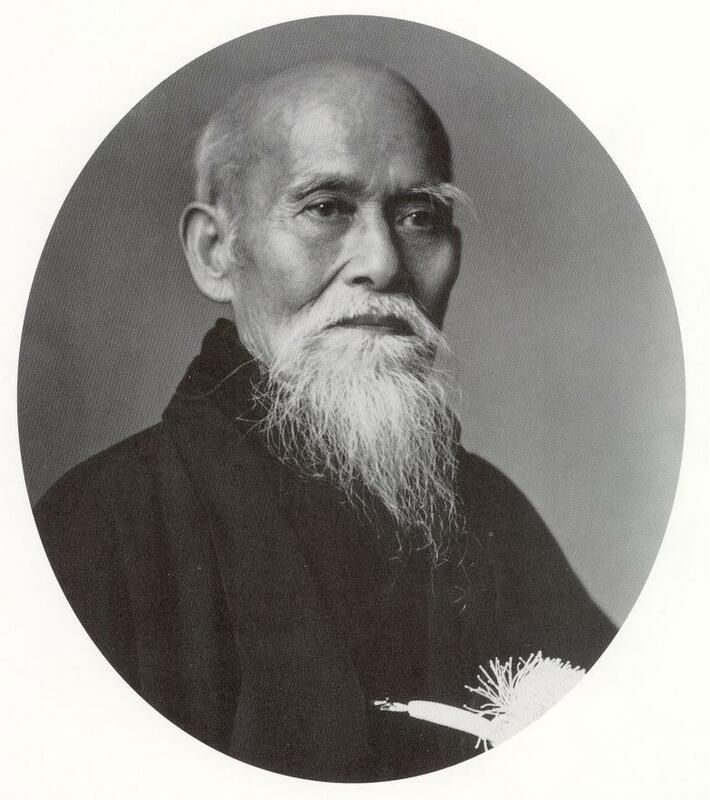 There are no competitions in Aikido which means that you can learn and progress at your own pace. We come together to improve ourselves, not to beat other people! Classes are studious and set at a level so that all those present take as much away as possible. The atmosphere is relaxed and lighthearted but strict etiquette is followed. After class activities consist of a swift drink down the pub. Aikido is a physical martial, as such it is important to inform the teacher of any injuries or conditions which may affect your practice. Injuries during class are rare and every effort is taken to prevent them but, as with all physical activities, there is an underlying risk that they might arise. All instructors are qualified First Aiders. Any loose fitting long sleeved top and trousers without protruding fasteners. No footwear required. Please ensure that feet are clean! Once you are committed to continue either a Judo or white Karate suit should be worn. Zori (flip flops) should be worn to and from the mat. Suits and equipment can be purchased through the club at reasonable rates.